Robert Wright was born in Bladensburg, Maryland, on 2nd September, 1840. He moved to Missouri in 1856 where he worked as a freighter before becoming a trader at Fort Dodge in Kansas. 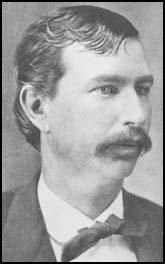 Wright eventually settled in Dodge City where he became a farmer and cattleman. He eventually appointed as the city's first mayor. Robert Wright died on 4th January, 1915. 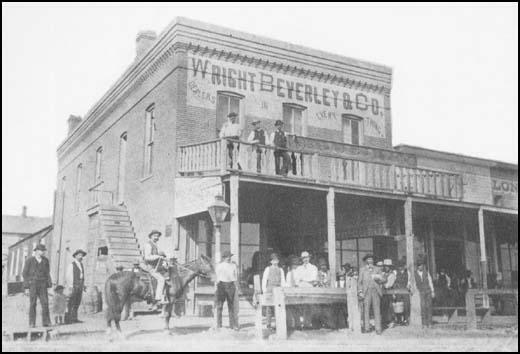 Robert Wright's business in Dodge City in 1883. The Texas cattle quarantine law passed last winter is quietly working out the salvation of Dodge City. The festive cowboy is already becoming conspicuous by his absence in Dodge, and ere long he will be seen & heard there, in his glory, no more forever. The cowboy gone the gamblers and prostitutes will find their occupations gone, and, from necessity, must follow. The bulk of the saloons will then die out because there will be no sufficient support left, and the temperance people can close the rest as easily as they could in any other city in Kansas.